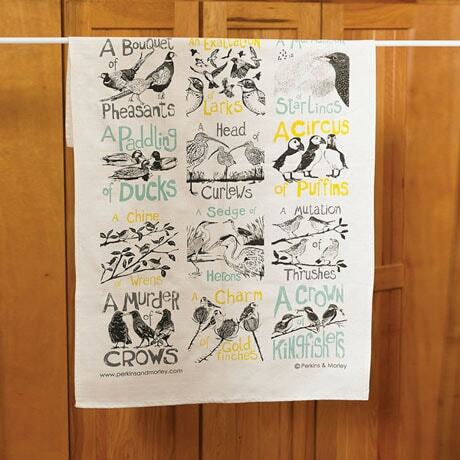 We find collective nouns to be utterly delightful, so is it any wonder we love these adorable tea towels and tote bag from the United Kingdom? 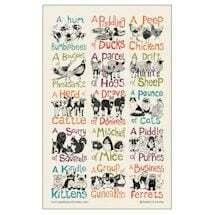 Illustrations of animal groups are paired with wonderfully apt collective nouns, inked in black with pretty pops of color on natural 100% cotton. 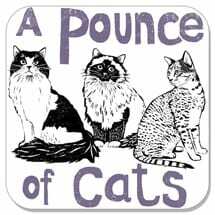 The 18"x30" tea towel ("a hum of bumblebees," "a mischief of mice") adds a dash of linguistic charm to your kitchen, while the 14"x15"x2" tote ("a prickle of hedgehogs," "a parliament of owls") will bring cheer to your daily routine. 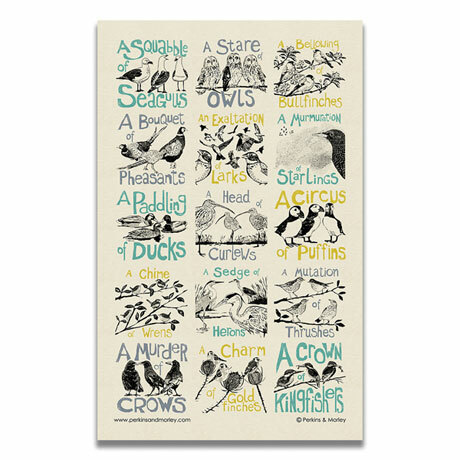 We're also offering an avian-themed tea towel ("a squabble of seagulls," a murmuration of starlings," "a stare of owls") for the word and bird lover you know!